Writing reviews for solo albums from previously unknown guitarists tend to provide me with my biggest source of surprises – both good and bad. The majority seem to come from flashy technically proficient guitarists with a flair for speed and manual dexterity, dazzling the listener with flash and laser light speed arpeggios, but little in the way of actual melody or songwriting abilities. Each song begins with a basic - and often - simplistic chord progression while the remainder of the tune is relegated to ego inflated speedy finger exercises, which seem to say “check this out”. And after the second or third song I'm bored and ready to move on to the next album in my stack to review. And then there are those rare instrumental solo guitarists who display both technical proficiency as well as an amazing grasp of songwriting ability. Musicians who incorporate both the tear-jerking melodic sustaining leads of artists like Steve Hackett, David Gilmore, and Andrew Latimer (Camel), with the ferocious speed and dexterity of Robert Fripp and John Petrucci ... plus the added bonus of musical composition and a knack for hook laden melodies. And then there is the music of the Israeli born Boston guitarist Gadi Caplan and his 2013 release “Look Back And Step Forward”, and what we have is a talented musician/songwriter who has created a beautiful smooth jazz fusion album in which he not only displays his varied talents as a master guitarist ... but proves himself to be a very generous artists who can step back from the spotlight and let his guest musicians take front and center stage, as on tunes like “It's All The Same” and “Tesha” which are dominated by smokey sax. 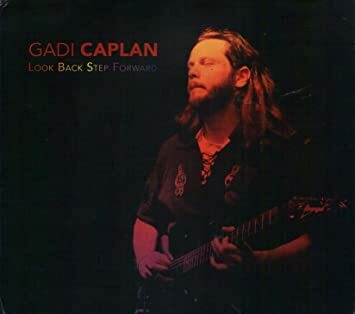 Flute, violin, keyboards and piano also take center stage throughout the recording, with the subdued acoustic or electric guitar-work of Gadi Caplan in accompaniment. And where needed Caplan provides his share of rapid-fire flashes of nimble-fingered fretwork with style and panache. I'm reminded of the early albums of x-Genesis guitarist Anthony Phillips in the quiet introspective piece “Charlotte”. While elements of Robert Fripp and the “Starless And Bible Black” era King Crimson filter through the edgier tune “Frostbite”. And intentional or not, traces of jazz guitarist Russ Freemen and his smooth jazz ensemble The Rippertons pop-up throughout “Look Back Step Forward”. And even a bit of Ozric Tentacles can be heard on eerie mystical tracks like “Indian Summer” and “Monsoon Season”. Highly recommended for fans of smooth jazz fusion. 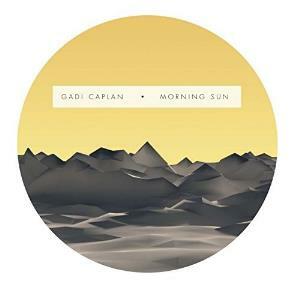 With a musician like Gadi Caplan, you are not going to get your typical formulaic album. What you will get is a first class ticket to travel through time and space to sample the many delicacies of world music. With his album "opposite views," you truly get the lifelong worldly musical experience Gadi Caplan has acquired. From his upbringing in Jerusalem, to studying sitar in India, to playing rock-n-roll in New York City, and studying at Berklee College of Music, Gadi is able to create a delicious stew of musical genius. It's really hard to write a review for an album like, "opposite views." Each track almost deserves its own examination to see how Gadi perfectly combines jazz, rock, funk, classical and psychedelic elements together. The track Rita's Garden is a instrumental track that uses a combination of progressive rock with Asian fusion to tell the story of the birth of a garden from seed to blossom. favorite track on the album, because it makes me think of drinking whiskey in a smokey bar during the 1940s. 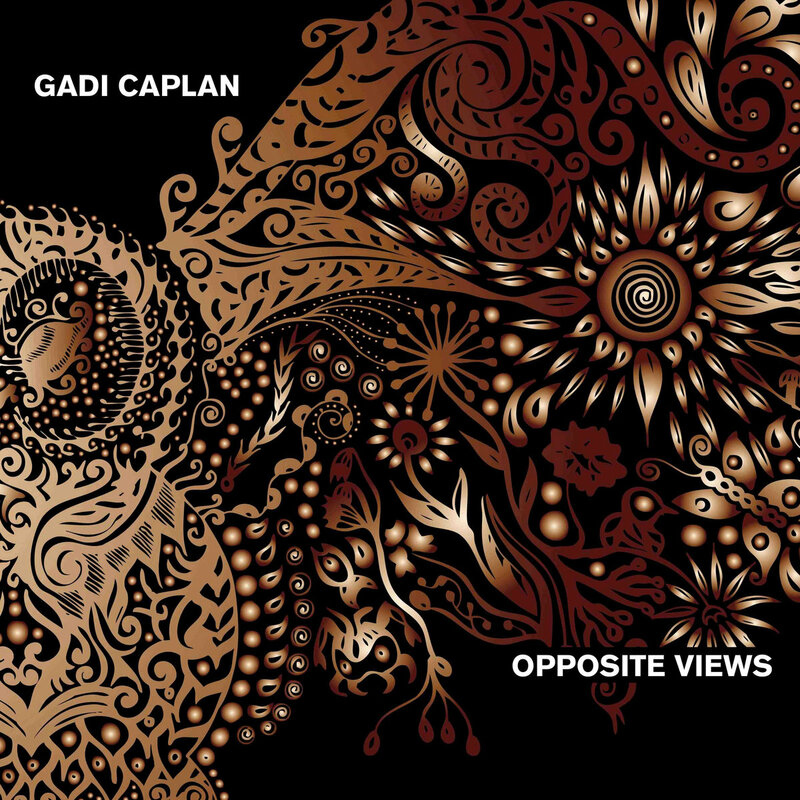 So do yourself a favor and go to http://www.myspace.com/gadicaplan and listen to Gadi Caplan's "opposite views."